Fashion Access and Cashmere World concluded with a positive business outcome. Being held during the peak sourcing season for fashion and leather accessories as well as for cashmere and fine fibres, the three-day show attracted over 10,000 international visitors from 85 countries. 227 exhibitors from 20 countries and regions including well-known international brands such as Otto Kessler, LSR International, Cerutti - Massimo Cerutti, Simpson London, Regal, Impression Imtopia, as well as young enterprises and start-ups participated at Fashion Access and praised the show as one of the most effective trade platforms at this time of the year for the fashion industry. This year was marked by the return after an 18 months hiatus of Cashmere World, the only trade fair dedicated to cashmere and fine fibres. It was inaugurated among other guests by Dr. William Fung Kwok-Lun, Group Chairman, Li & Fung Ltd. who gave a very insightful welcome address on the importance of the cashmere industry. Optimism and confidence were palpable and business was brisk in the hall holding the two shows as testify the many satisfied comments from both buyers and exhibitors. Fashion Access is where buyers can find OEM suppliers in the specially designed Sourcing Zone, as well as Brands in both Brand Avenue and Design Street. The trade fair has also increasingly become an incubator for young brands such as Federico Vignato, a company founded one year ago by a young couple who use it as a test bed for their products and services. They are also one of the Best of APLF Awards winners with their creative Ladies' Bag Designs. “We have been approached by several brands and bag manufacturers who have complimented us and given us valuable advice. For a newly founded company like ours, these kinds of encouragements coming from professionals are priceless,” commented Alma Law – Co-founder – Frederico Vignato. Buyers come to Fashion Access for finished goods and at the same time visit APLF to find leather, materials and trend inspiration. This year the organisers invited more than 50 buyers from 21 countries and introduced them to a large number of suppliers matching their needs. Is the digitisation of footwear production and retail inevitable? 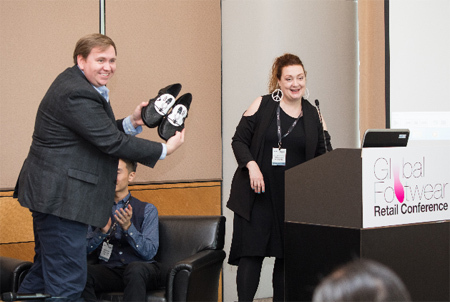 This question was among the issues that were discussed in depth by experts from across the footwear industry during the fourth Global Footwear Retail Conference (GFRC) sponsored by Tencel and ISA Tantec and co-organised by APLF and the Footwear Distributors & Retailers of America (FDRA). Like other industries, footwear is currently facing retail challenges including how to adapt to rapid consumer demand shifts and how to develop and implement speed to market strategies. From 3D printing micro-factories installed in stores to big data analysis and face recognition, new technologies are being introduced at all the levels of the industry as a new materials such as Lenzing’s Tencel, a wood based fiber that makes shoes recyclable. The second day of Fashion Access is traditionally a time to celebrate the creativity and craftsmanship of young designers and of companies. Three winners were selected for the Design-A-Bag Online Competition while no less than eleven companies were bestowed the Best of APLF Awards (BOAA) for their innovative products or applications. 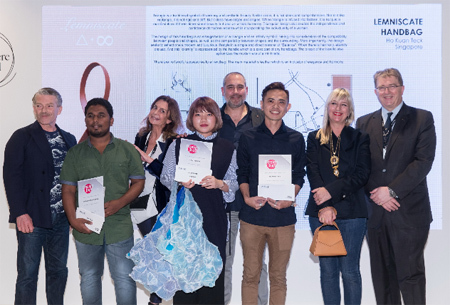 Winners of the Design a Bag competition included Hong Kong based designer Chan Tak Kei, for her playful, imaginative jellyfish bag and Singaporean Ho Kuan Teck for its triangle, 8 shaped, smart ladies handbag. 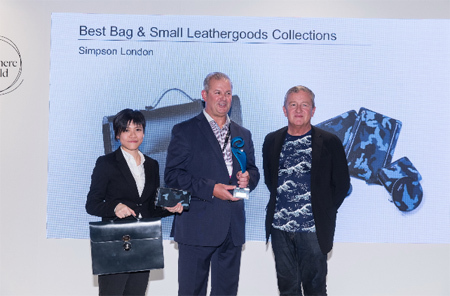 Among the winners of the BOAA, Simpson London’s hand-stitched, traditional bridle-finish vegetable-tanned leather collection was awarded the Best Bag & Small Leathergoods Collection for its classic and simplicity while in the Best Men’s Footwear Collection Numero Uno was awarded for its hybrid, innovative athleisure collection. 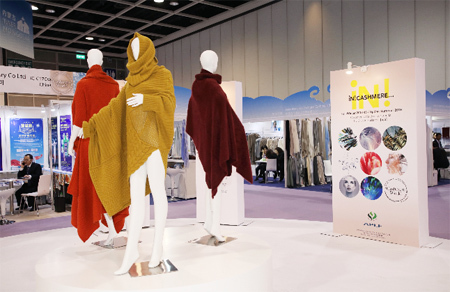 The next edition of Fashion Access and Cashmere World will take place in Hong Kong from 13-15 March 2019.